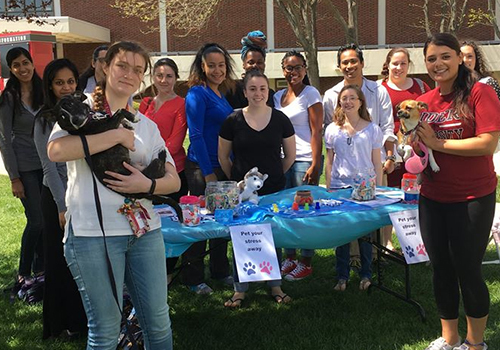 Students at Rider University in Lawrenceville, NJ, could ‘pet their stress away’ at the campus bookstore’s De-Stress Event. Final exams week can be one of the most stressful times of the year for college students. 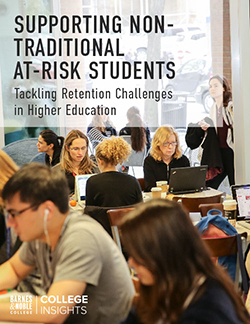 With graduation and students’ GPAs hanging in the balance, the mere mention of the word “finals” can stress the most disciplined student. 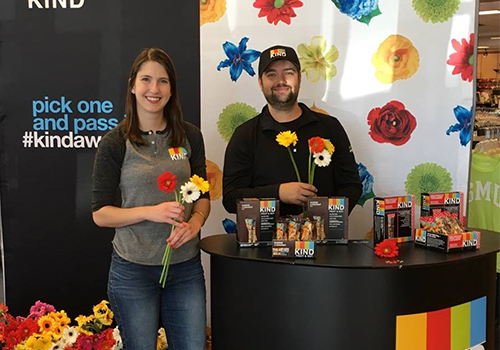 This spring, Barnes & Noble College campus bookstores helped alleviate some of that anxiety with De‐Stress Fest events held nationwide. 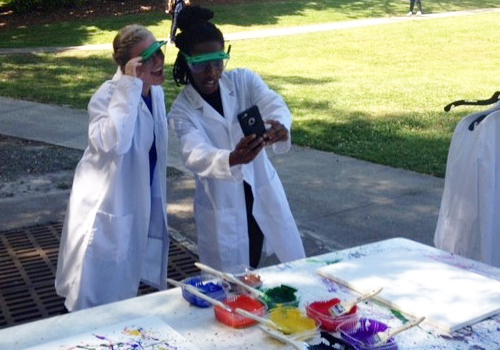 The events allowed students to take a break from studying and unwind with some fun and relaxing activities. 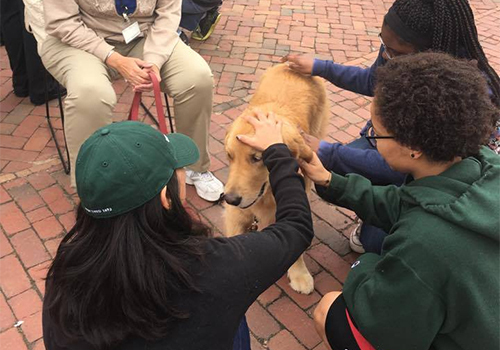 The De-Stress Fest events differed on each campus and included chair massages, marshmallow roasts, games, coloring, food and refreshments, and puppies …. lots of puppies. 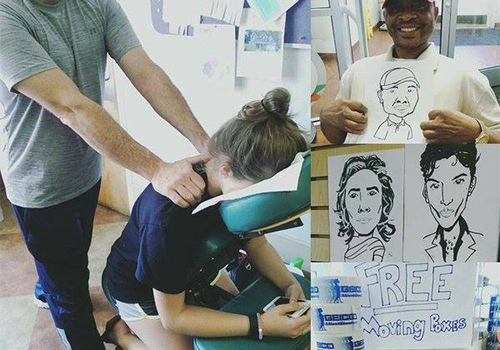 A student receives a complimentary chair massage at the Campbell University Bookstore, located in Buies Creek, NC. The D’Youville College Bookstore brought in therapy dogs for students to pet and cuddle for their De-Stress Event. D’Youville College is located in Buffalo, NY. 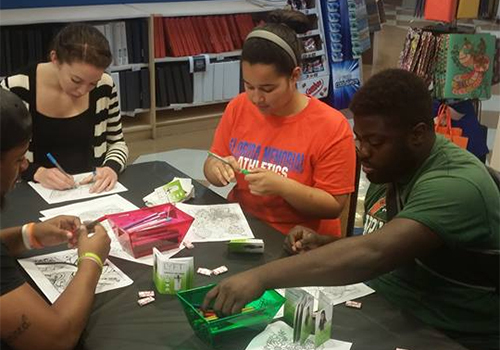 Florida Memorial University students gathered to take a break from finals at the campus bookstore’s De-Stress Event. Florida Memorial University is located in Miami Gardens, Florida. 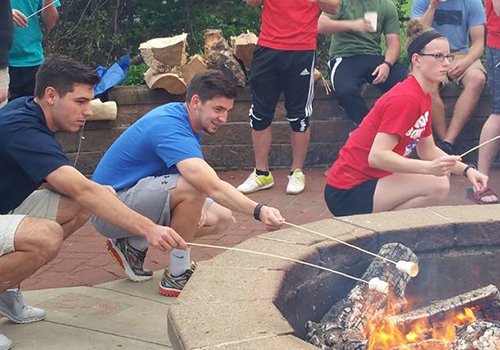 Students at Robert Morris University in Moon Township, PA, make s’mores at their bookstore’s De-Stress Event. 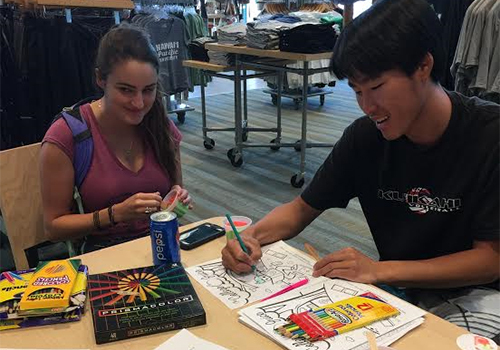 Hawaii Pacific University students colored and enjoyed some refreshments during finals week at its De-Stress Event. Hawaii Pacific University is located in Honolulu, Hawaii. 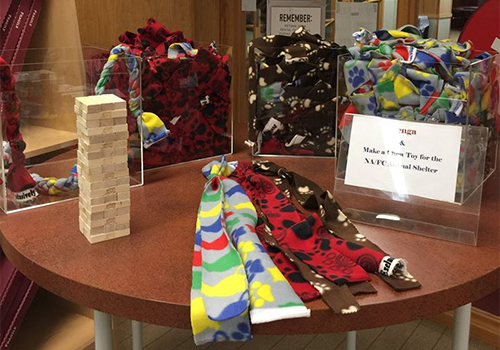 The Indiana University Southeast Bookstore let students make chew toys for a local animal shelter during its De-Stress Event. The bookstore is located in Albany, Indiana. 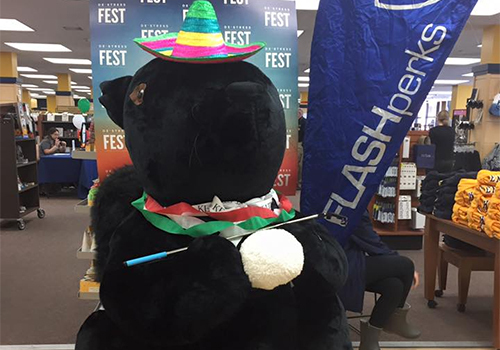 The Kent State University Bookstore, located in Kent, Ohio, held it’s De-Stress Event, which included massages, Cinco de Mayo-themed activities in partnership with the Spanish and Latino Student Association, selfies and sombreros with the bookstore’s stuffed squirrel mascot Stella, as well as raffles and refreshments. 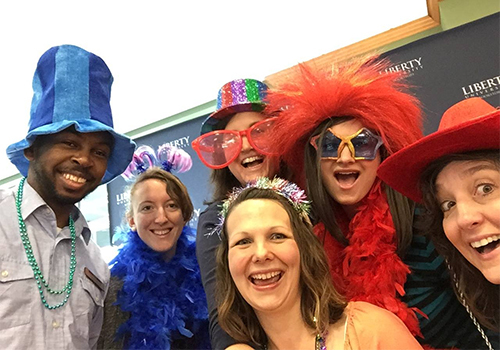 The Liberty University Bookstore, located in Lynchburg, Virginia, let students blow off some steam during finals week with a fun De-Stress Event. 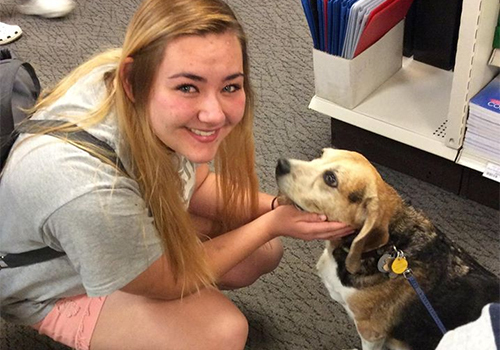 Therapy dogs were part of the William & Mary Bookstore De-Stress Event. 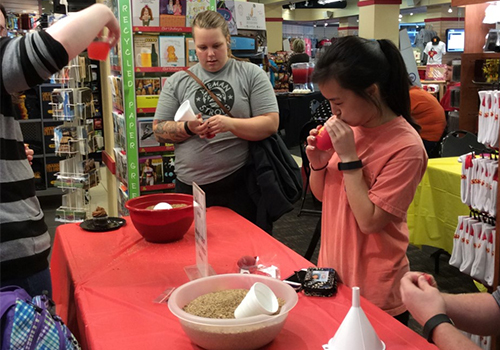 The William & Mary Bookstore is located in Williamsburg, VA.
Students at Pittsburg State University, located in Pittsburg, Kansas, made homemade stress balls to relieve tension at their De-Stress Event. Students at Santa Fe College, located in Gainesville, Florida, enjoyed creating works of modern art during their De-Stress Event. The works of art were later hung in the campus bookstore. Students at Southern Methodist University enjoyed free Kind Bars at their De-Stress Event. The SMU Bookstore is located in Dallas, Texas. 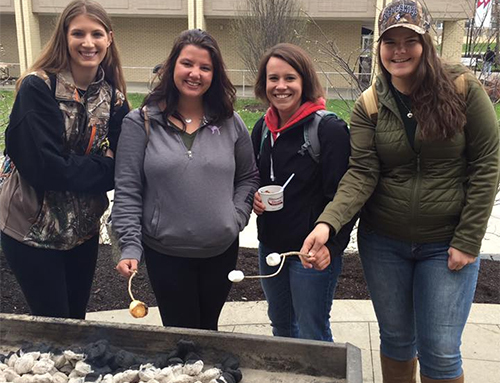 Students at SUNY Cobleskill take a break from finals to enjoy roasting marshmallows for s’mores. 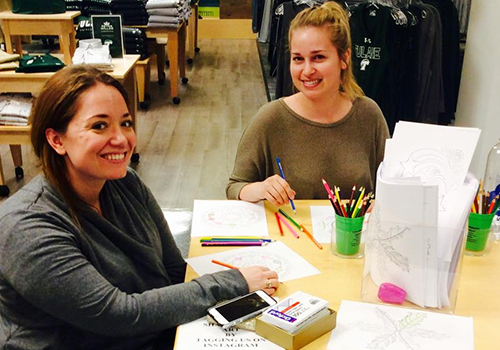 The Tulane University Bookstore provided students with colored pencils and coloring books to relax during finals week. Tulane University is located in New Orleans, Louisiana.